Fall has hit the latitudes affected by winter snows and that shoulder season brrrr. 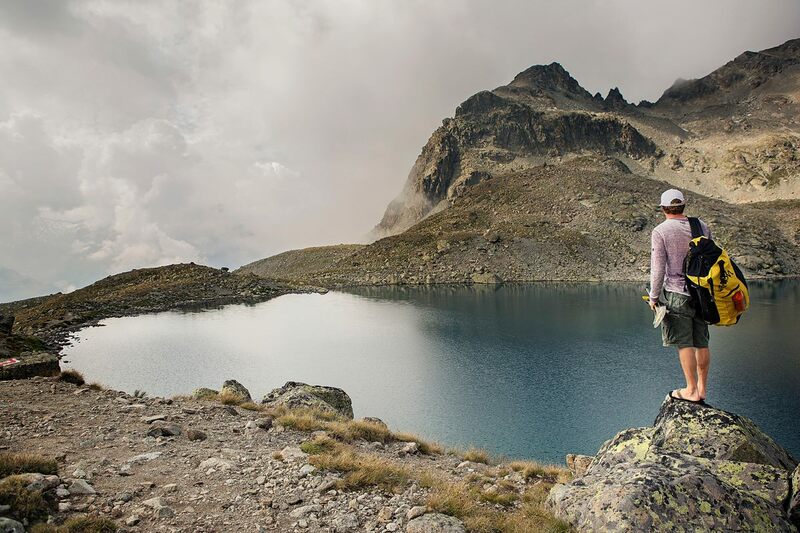 It’s our last chance to grab a backpack and hike to the alpine regions that are absolutely stunning this time of year. 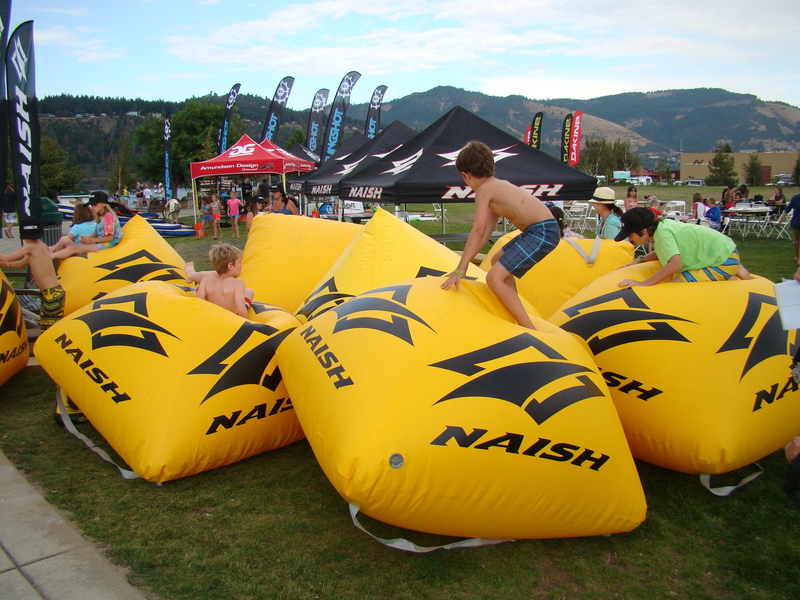 Our backpack gear is cool-to-the-max because tucked inside the pack is a Naish ONE! 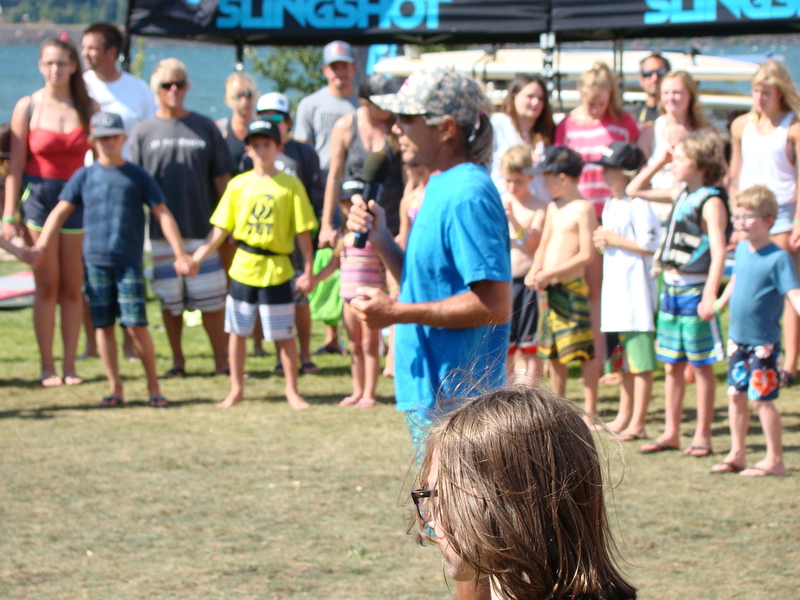 Robby Naish says, ” I am constantly telling people about the many benefits of our inflatable stand up paddle boards. 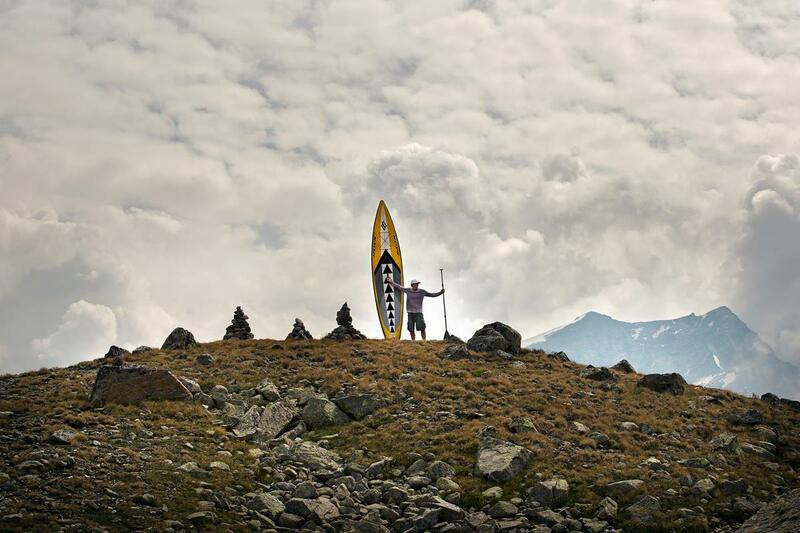 Here are a few shots from an Alpine SUP adventure in St. Moritz, Switzerland that never would have been possible with a composite board! Our first Alpine SUP adventure to a breathtaking, incredible “secret” lake tucked behind Broken Top in Bend, OR was an adventure. (Story here). 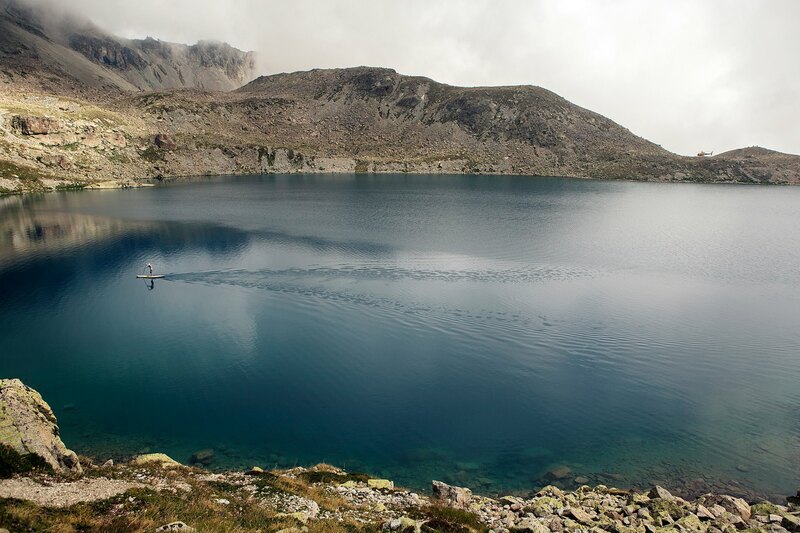 Discovering these lakes and taking the hike set the stage for the sweetest of paddles upon arrival. All you need is a map and a plan to discover these treasures. We drove through frozen, rutted snow at the edge of a 3,000 ft drop cliff in the Steens in Eastern Oregon to find our alpine lake. We were headed for Wildhorse Lake but the 1,100 foot steep drop of the trail covered in ice was not something we wanted to attempt. (video below). Instead we found a terrific alpine lake to hike to – Fish Lake nestled among the Steens at an elevation of 7400 feet. Surrounded by a healthy stand of willows and aspens, here a wide variety of wildlife can be found including beavers further down Lake Creek below the lake. It was glassy calm, with the only ripples provided by the lake’s namesake – fish! And plenty of them. 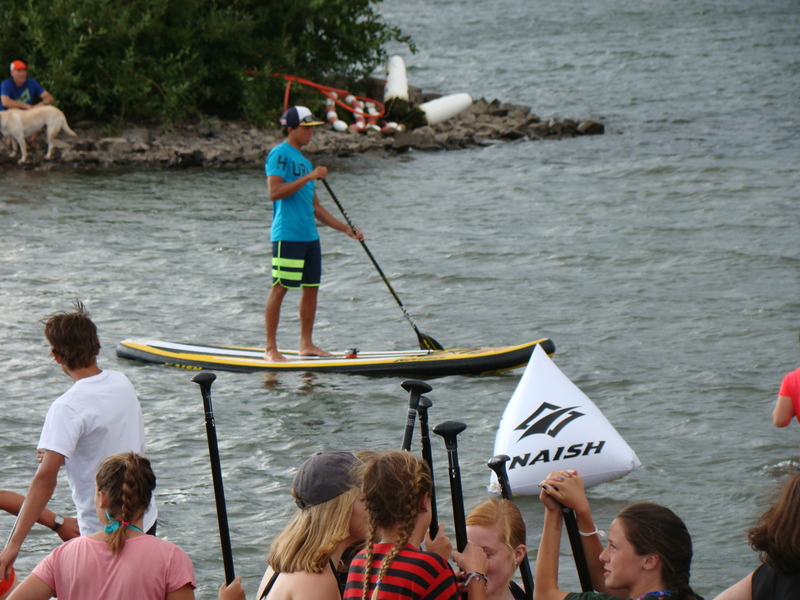 Thanks to Naish SUP for sweet inflatables, KIALOA Paddles for design and technology, and the Beatles for the tunes in the video below. Flip through any of the many (thank goodness) SUP, paddling and surfing magazines and you’ll be dazzled by photos of surf, sun, bikinis, waves and warm water. One ad catches me every time because it’s the polar (sometimes literally) opposite. It’s KIALOA Paddle’s ad showing Karen Wrenn psyching herself up for a training paddle in cold, wet, blustery weather that is so common in the Pacific Northwest. Do you know that kind of weather? 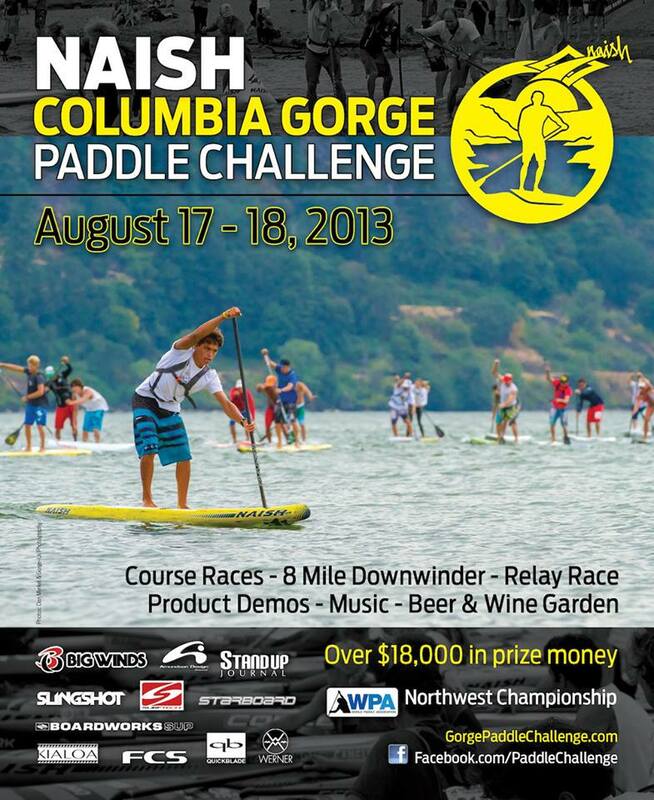 In preparation for the Naish Gorge Paddle Challenge in a few short weeks, my plan is to add to my weekly mileage. Between work and other obligations, early morning is the best time to grab the hours needed to bag 5-8 miles up and down current in the Deschutes River. Ahhh, summer. 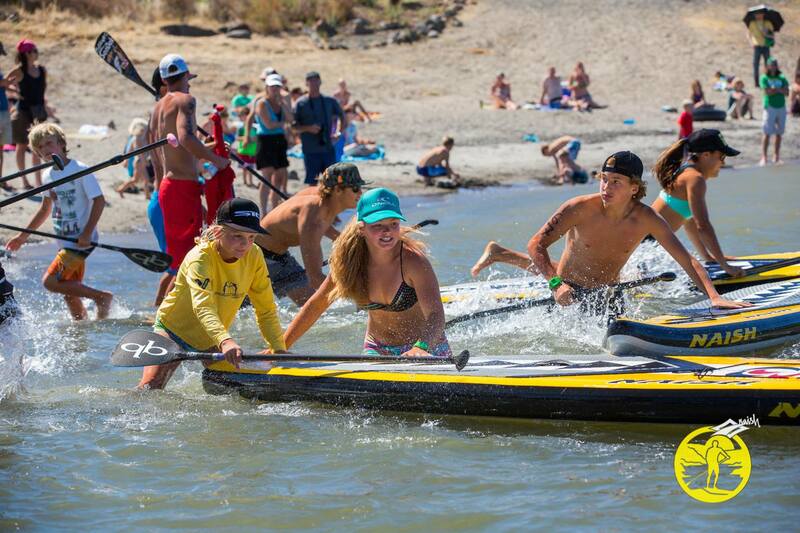 85-95 degree days have warmed both water and air making paddling a pure joy. Except for last Wednesday. I was fooled by the blue sky and sunshine as I loaded my board. For some reason a northerly wind had funneled in along with lower temperatures. I got to the river still warm and cozy in my car. The first alarm bell rang when i saw the flags rippling straight out as the wind blew in the face in the UPSTREAM direction. That is never good. I stepped out of the car to unload my board and stepped into – COLD! Seriously? I had neglected to do a temperature check back at the house. What was it? I turned on my car only to discover the outside temperature reading was 53! How did I miss that? Now, it’s true that in the winter, a sunny 53 degree day no matter what the wind chill is will seem like a “warm” day. In the winter we are prepared for chill – booties, fleece and the right mind-set. WE bundle up for cold paddles in the winter! On the late July day, back in the car I sat huddled. I wanted warm, tropical breezy warm! It was time to channel my “inner Karen Wrenn” – please! I managed to talk myself into getting onto the river and completing the planned distance. Weirdly, after the first mile (brrrrr) I got sweaty, steady and in synch with wind, water, paddle technique and the beautiful morning. Today, a mere 5 days after that challenging mental discipline of chilly last week I set off to 6 am yoga (wonderful) and went straight to the river for another 5 mile training paddle. It was 55 today, wind brisk in the face up current again. I hesitated, but just for a moment. I had the image of last week’s paddle set in mind. It wasn’t raining, it wasn’t snowing and the river was almost empty. 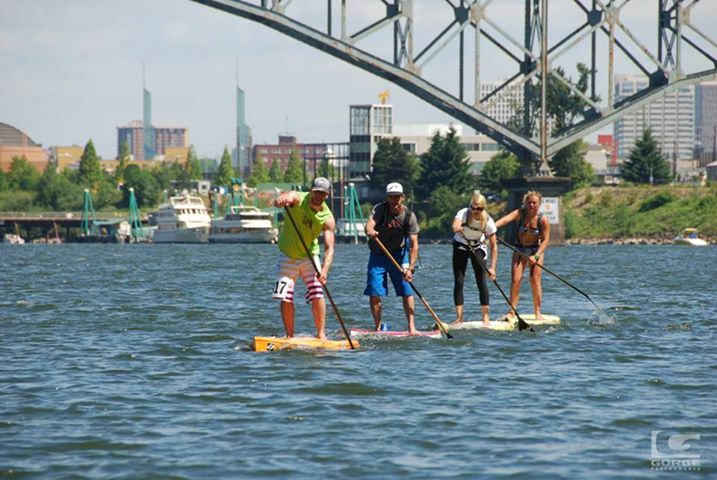 If we want to have the best experience at the many SUP events available in almost every home town we need to prepare. Sometimes we need not to over-think how it’s gonna be and just let our training session BE. Again today, it was delicious! 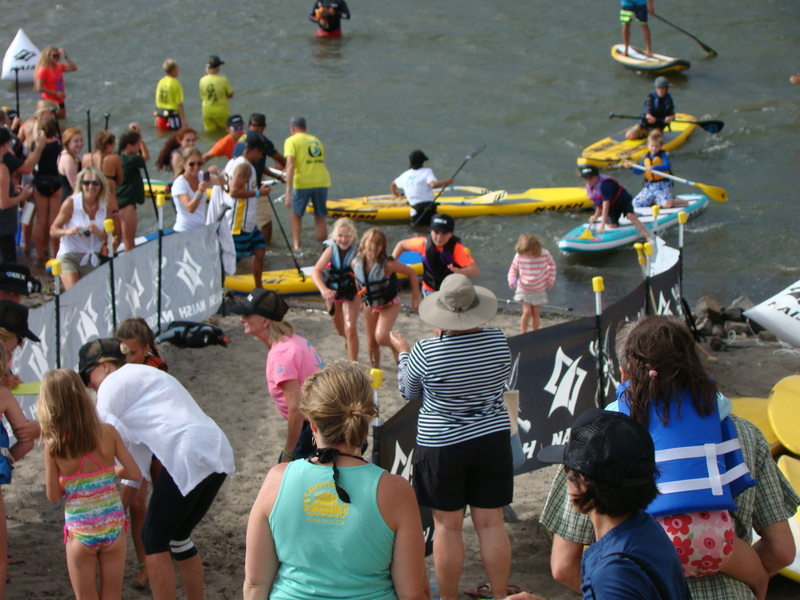 In a few short weeks SUP endurance athletes will gather for a cause at the 100 Mile Paddle, the ultimate adventure paddle & race for teams and elite paddlers. 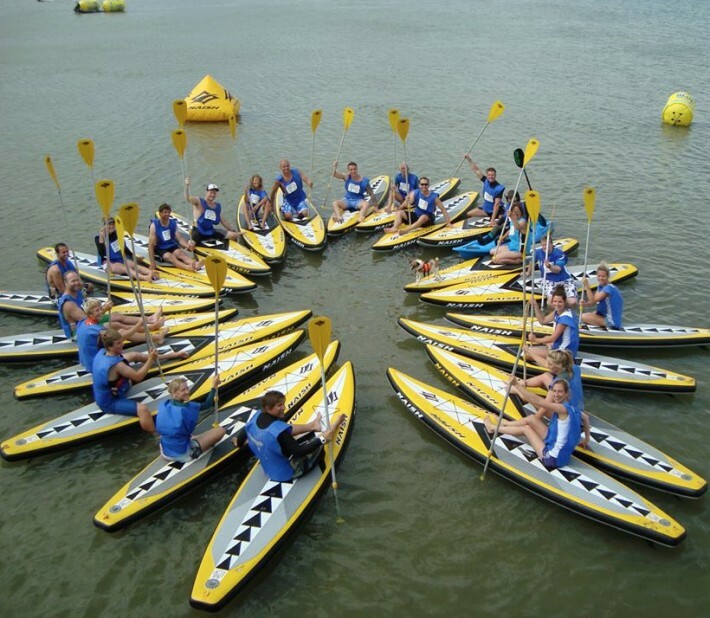 This two day adventure paddle will start 75 miles north of NYC and follow the Hudson River to a breathtaking loop around Manhattan. 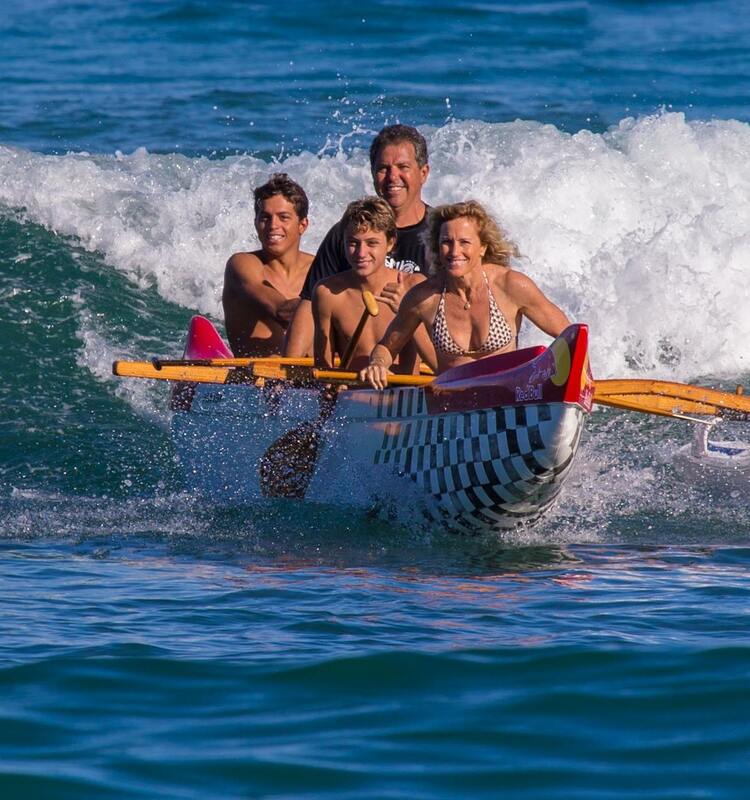 It’s not surprising that KIALOA Paddles team rider, Karen Wrenn will be there paddling strong and raising funds for causes she cares about. 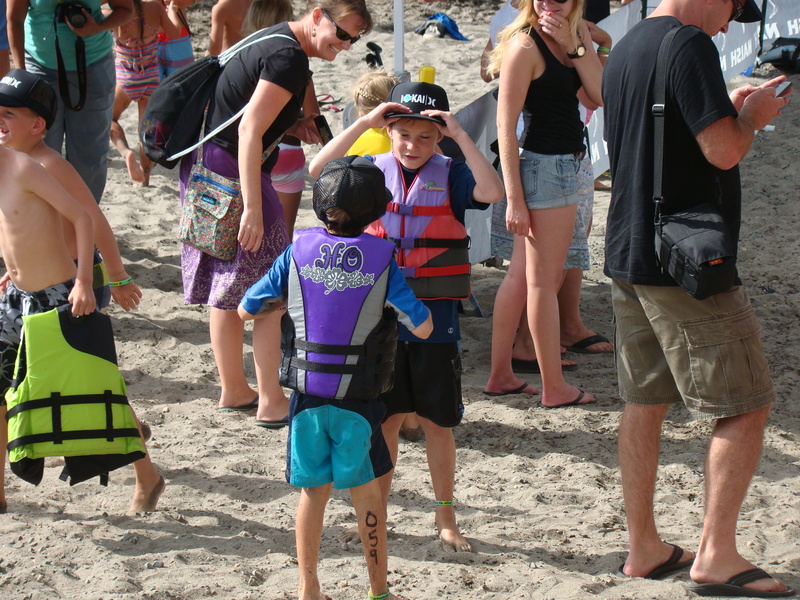 The goal of the event is to raise awareness and funding for Autism Charities and Clean Water Initiatives. As cool as the event sounds, it is not for the un-prepared. Training for an endurance event of this sort is almost as grueling as training to, let’s see, climb Mt Everest. 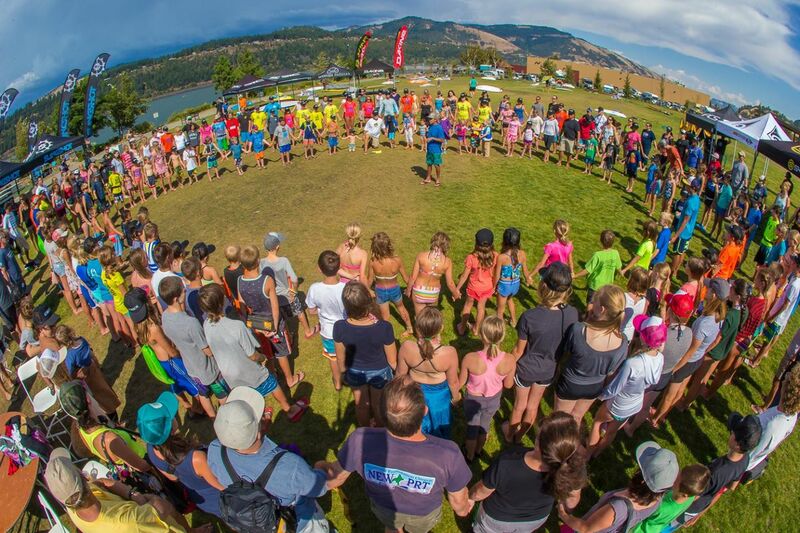 The point is that the athletes able to solo a 100-mile paddle have demonstrated discipline, commitment and focus in their training. 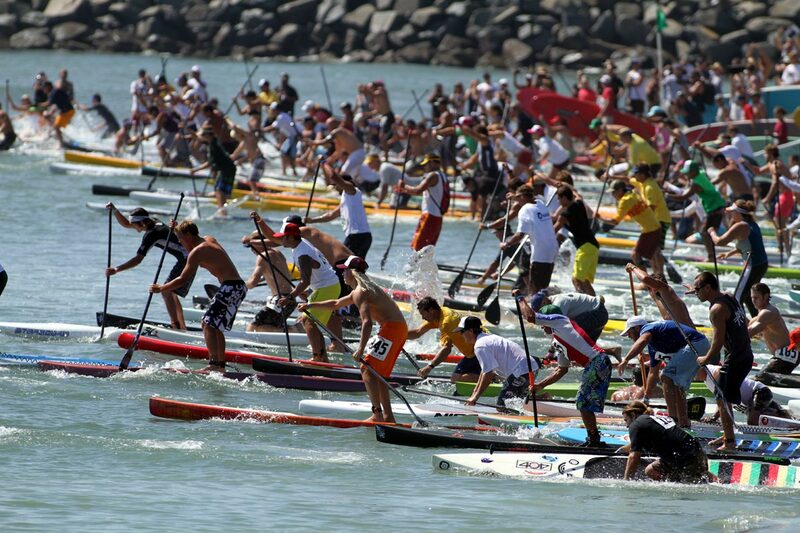 So, what about us mere mortals who might want to do a crossing, paddle 30-40 miles or simply prep for race season? If you take a page out of Karen’s book you’ll add a key ingredient – have fun training. 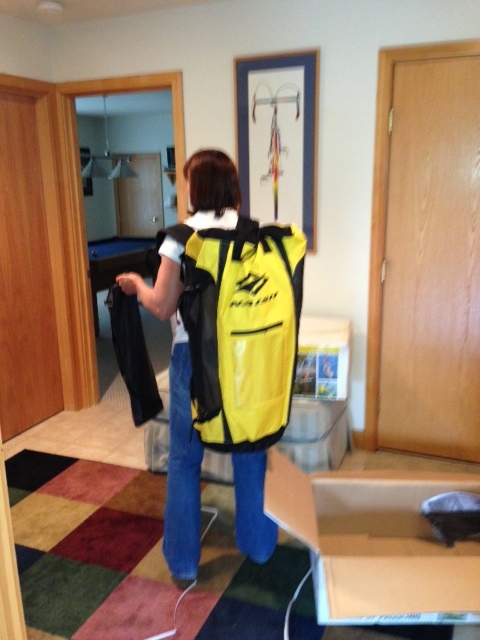 If you follow Karen’s blog or LIKE her on Facebook you’ll discover how she keeps the stoke going. 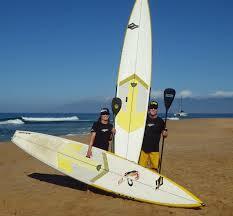 You’ll see her on one of her quiver of NAISH SUP boards almost every day. All work and no play is definitely not her style. 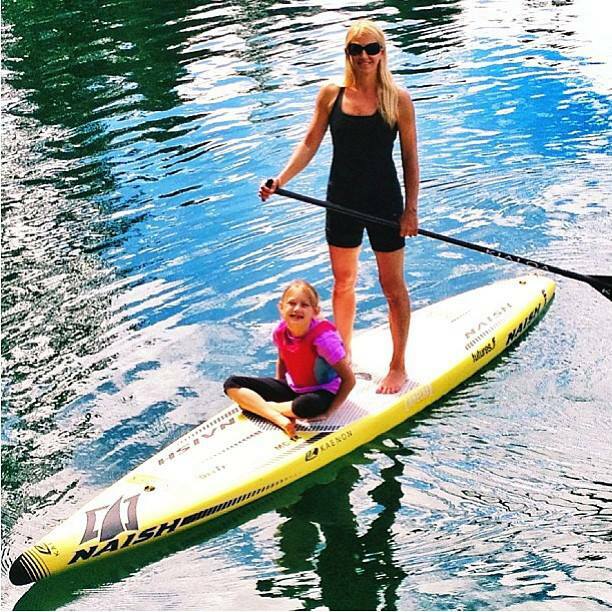 A busy mom, Karen adds family fun to time on the water for a terrific win-win experience. 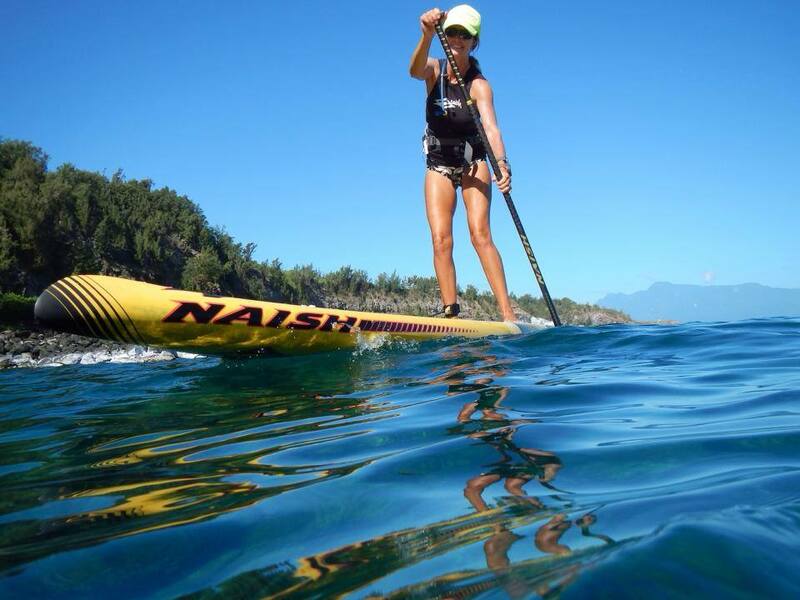 Whether on the flatwaters of an Oregon lake, the often gnarly surf on the Pacific coast or fighting upstream currents (and dodging freighters) on the Columbia River, Karen is putting her time in to prepare well for the 100 Mile Paddle. I couldn’t agree more. I read Suzie’s article and have added her suggestions to my weekly training routine – with surprising results. I look forward to hearing your comments. Maybe we won’t charge the Maliko run like Suzie Cooney or raise funds for great causes via a 100 mile endurance race like Karen Wrenn – but we can grab our best endurance ability with gusto – and a grin! You can follow Karen Wrenn on Twitter.